Brian Swinney needs someone to fly his aircrafts in Scotland on a lucrative contract shuttling men and equipment to the North Sea oil rigs. Helping out their friend, Charlie Parker and Drake Langston agree to the job, ignorant of the escalating battle between the outfitters that service the rigs. Taking up residence at historic Dunworthy Castle, they become acquainted with owners Robert and Sarah Dunbar. They seem to be down-to-earth ranching folk but their daughter, son-in-law, and teenage son Richie are another story. Discovering that Charlie is an investigator, Robert begs her to look for two missing lambs. But when Richie also turns up missing and the ransom demands begin, Charlie wants out. 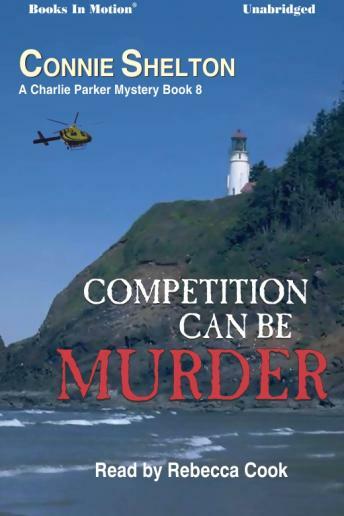 Coupled with the kidnapping, threats from the oil rigs heat up.